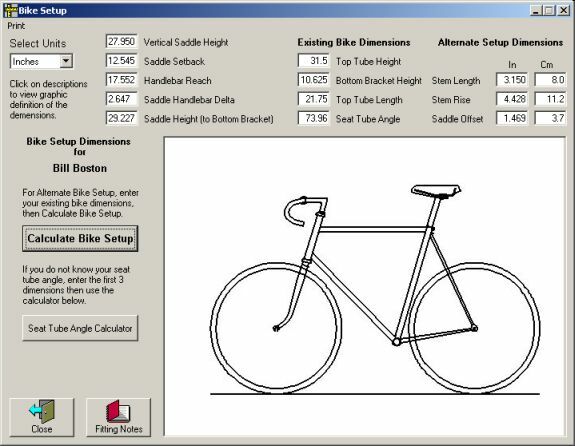 Once you have entered all of the existing bike dimensions and calculated the bike setup, the Alternate Setup Dimensions will be displayed in the column on the right. Calculating the bike setup also transfers the existing bike dimensions and alternate bike setup dimensions to the new record under Fitting Notes for storage in the database. Let's take a look at the Fitting Notes now.